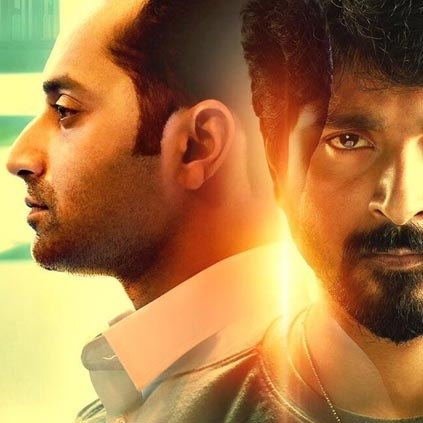 FAHADH FAASIL IS HAPPY WITH VELAIKKARAN PROMOTION! Remo and Velaikkaran producer RD Raja had visited the sets of Malayalam film Trance produced by Premam filmmaker Anwar Rashid to celebrate the birthday of his hero Fahadh Faasil. It is nice to see a producer travel all the way to honour an artist. Velaikkaran's 2nd look featuring Sivakarthikeyan and Fahadh Faasil is trending since yesterday night. Just like in Tamil Nadu, the posters of this 2nd look have been placed throughout Kerala as well. We have been informed that Fahadh Faasil, his wife Nazriya and also his friends are extremely pleased to so many posters across the state. It is said he has not got such promotions in Kerala even for Malayalam films till date. Meanwhile, Fahadh Faasil who did a sound test recently for Velaikkaran will be dubbing for the movie in his voice as well. The dubbing process is likely to start by 14th of August. Massive update on Mersal single! Dhanush’s VIP 2 to have a 5 am show in this popular Chennai theatre! Official : 5 highlights from Vivegam to watch out for! Exciting: This beautiful yesteryear actress is all set to make a comeback! People looking for online information on Fahadh Faasil, Velaikkaran will find this news story useful.